The Geelong Off Road Buggy Association (GORBA) is a “not for profit“ Off Road Racing Club. We pride ourselves on family involvement, competitive and social friendship, vehicle preparation and racing opportunities. GORBA organises races at the Avalon Short Course Track and at a longer track at Moyston near Ararat. 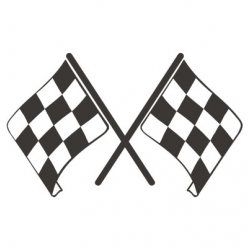 You do not have to have the biggest or best car, buggy or 4 wheel drive to compete, so long as the entered vehicle has a current CAMS logbook, its drivers, co-drivers & navigators are CAMS licensed and the vehicle passes the required level of scrutineering you can race. The Club holds its own Championship Series, but also supports other events such as the Mallee Shields and Victorian Championship. We also have members competing right up to National Level. We are represented in nearly all of the different classes of off road vehicles from Pro Buggies through to Production 2WD cars.